The perfect winged eyeliner is a dream for almost every girl who is not a makeup artist. If you ever wondered how you could make it real, here are some really easy tips that will make this dream happen. 1.Tape - Use a piece of tape and you will make it happen. 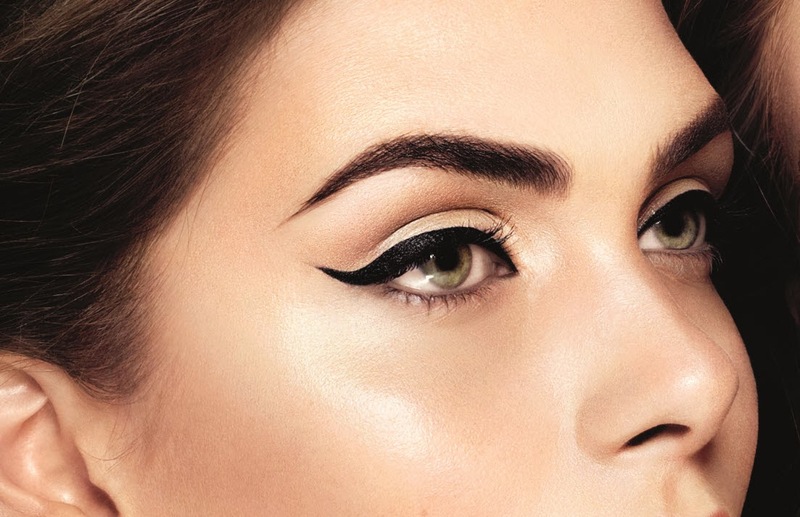 Line it up on your face so that you can draw your wing on the side of it. This way you will avoid spilling it over your eyes. Tape is one of the easiest tricks for winged eyeliner, and it will help you achieve that wonderful look. Just use the tape that is easy to remove. 2.Spoon - A spoon is actually a very useful tool for your daily makeup routine. Use the handle in order to make your first line, and then use the rounded piece to make the other side of the wing. When you're done, fill in the area and that is all. 3.Paper - Probably every girl has a flyer lying around somewhere in the house. Use it to make a straight line against your eye. Of course, be careful about paper cuts. In the end, you will have a great winged look. 4.Dots - Drawing dots on your eyelids first will help you with your straight lines. You can then connect them with your liner. Be sure that your lines are smooth and straight. 5.Pencil - A pencil is a perfect replacement for the liquid liner. Use it to make the outline of the wings. When you are finished with the outline, use a liquid liner to fill in and go over the lines.